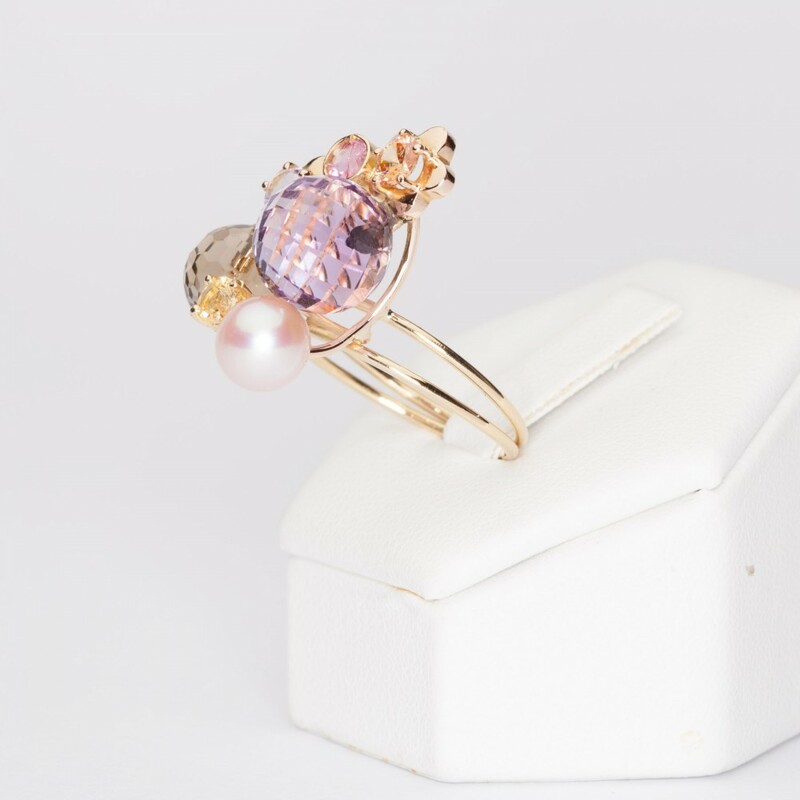 Handmade ring in 18 kt yellow gold, with a natural rose pearls, green and purple amethyst, topaz and tourmalines, the ring is about 25 mm x 20 mm. It has a unique and romantic design, thanks to tourmalines set into gold flowers. This ring's size is 17. If this size doesn't fit you, you can return it by indicating the desired size and we will arrange it at no extra cost, except the shipment cost.